A view of the pond in the spring of 2017. Clearly our crowning accomplishment of the past few years is the restoration of the Kelley Pond. 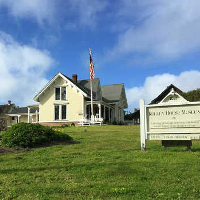 It is probably also the biggest improvement to the town of Mendocino, as evidenced by the many passersby, both locals and visitors, who stop at the fence to admire it. The Mendocino Volunteer Fire Department was a partner in the project; discussions began between our organizations in 2013. We hoped to restore the pond to its former state, while the fire department hoped for a much-needed reservoir of firefighting water on the south side of town where no hydrants exist. It was a perfect match. Jill Jahelka, who served on the Kelley House Board at the time, along with Bill Lemos and Dave Gross of the fire district board, and citizens Marilyn Lemos and Bob Kerstein, toiled steadily for over two years, working with their brawn as well as their brains to reach this point. (Former Kelley House Executive Director Nancy Freeze was an early member of the committee and instrumental in starting the project.) It was anticipated the project would cost around $25,000, including hydrant costs. Of course, like all big projects, it has gone well beyond that, but the community has rallied with support. The list of donors may be found below. 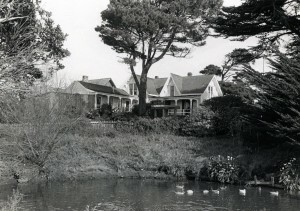 Sewer district renovations in 1974 inadvertently created a French drain, moving runoff water away from the pond. This lowered the water table and rendered the original pond unable to retain enough water. The committee determined that a repaired pond would require a liner, a storage tank to refill for evaporation, an overflow pipe and more—all very costly. The fire department agreed to pay for the hydrant and plumbing to access it. The Pond Committee got to work seriously in early 2014, developing a two-year plan. Permits were obtained, funds raised, and many meetings were held with a range of ideas being presented by contractors. Committee members put in plenty of physical work as well—clearing brush, making a pad for the water tank, raking carefully through the pond as it was excavated for roots, glass and any objects that might puncture the liner. Their dedication was beyond all expectations. Volunteer firefighters brought in many truckloads of water from a large water tank that was being demolished, to start the filling process before the rains began. This was not the first effort by the Kelley House. Since the 1970s, the area more often appeared to be a muddy hole than a pond, only retaining significant amounts of water during the rainy season—and even then almost never full. 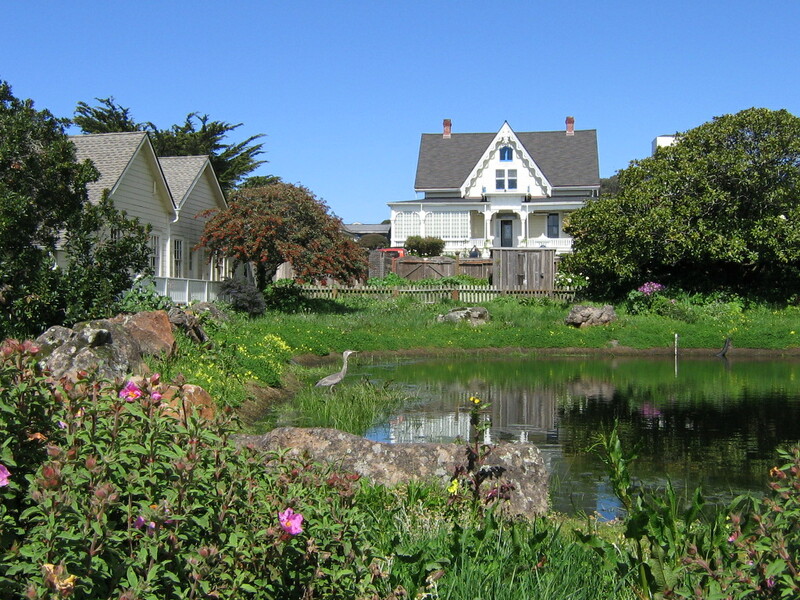 One plan, in 1991, approved by the Mendocino Historical Review Board, was to reduce the size of the pond by constructing a retaining wall of used telephone poles and backfilling with dirt to conserve the limited water supply and improve the appearance. But the project, for numerous reasons, was never realized. The project is not yet finished. In 2016, we installed a filtration system. A landscaping plan is being developed. But we have come a long way, thanks to a dedicated committee and a generous community, and it is such an enhancement to our property. No longer are we the owners and caretakers of the mudhole eyesore.